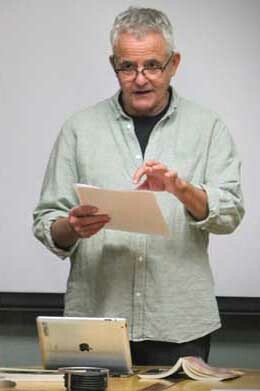 Professor John Rumrich has taught his class "E 321 Shakespeare: Selected Plays" as an online class, sharing a virtual classroom with Professor Shen Hong's Shakespeare class in Hangzhou, China. Using audio and video connections, the two classes convened simultaneously. They had productive and very memorable discussions about The Bard - and they even produced Hamlet and Macbeth in real-time! Watch the video about this "Global Classroom".